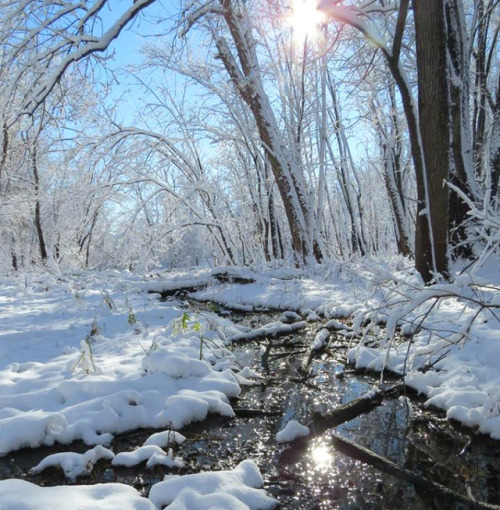 Fresh snow blankets the floodplain forests at Port Louisa… – Sig Nordal, Jr.
Fresh snow blankets the floodplain forests at Port Louisa National Wildlife Refuge in Iowa. Established for the protection of migratory birds along the Mississippi River Flyway, the refuge occupies over 8,300 acres across four unique districts. Some of the most recognizable winter residents are wild turkeys, northern cardinals, great horned owls and bald eagles. Watch out for their color and movement in this winter wonderland. Photo by Cathy Nigg, U.S. Fish and Wildlife Service.